I had the pleasure of working with AD Lisa Zangerl of the Humanist to create the cover of their September/October issue! 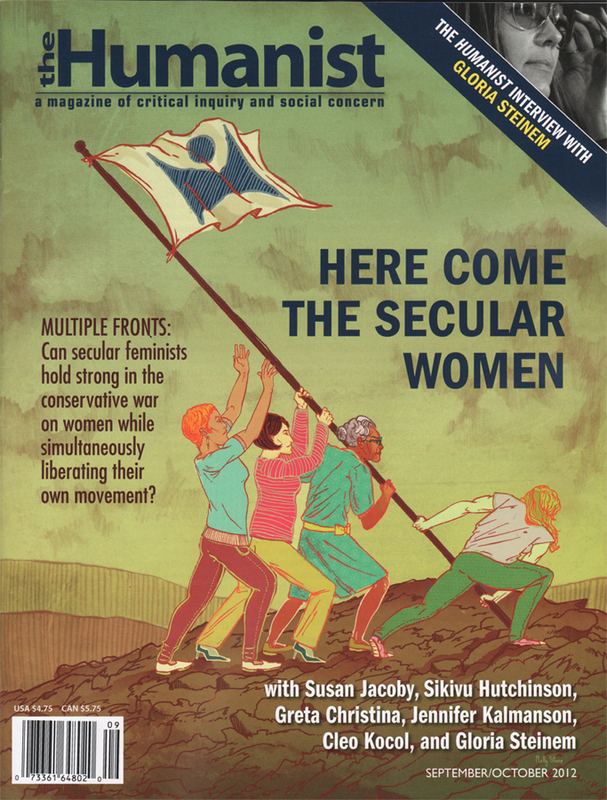 The latest issue features the words and work of prominent feminists like Susan Jacoby and Gloria Steinem. 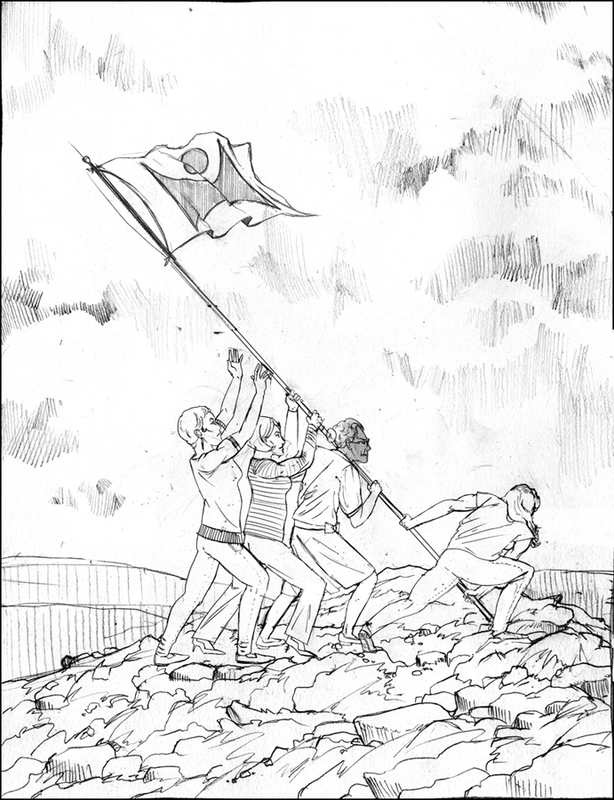 For the cover, Lisa wanted to portray a group of strong, diverse women coming together and overcoming an obstacle, and she wanted these women to closely resemble the photograph in which several marines are raising the American flag during the Battle of Iwo Jima during World War II. You can view the photograph here. 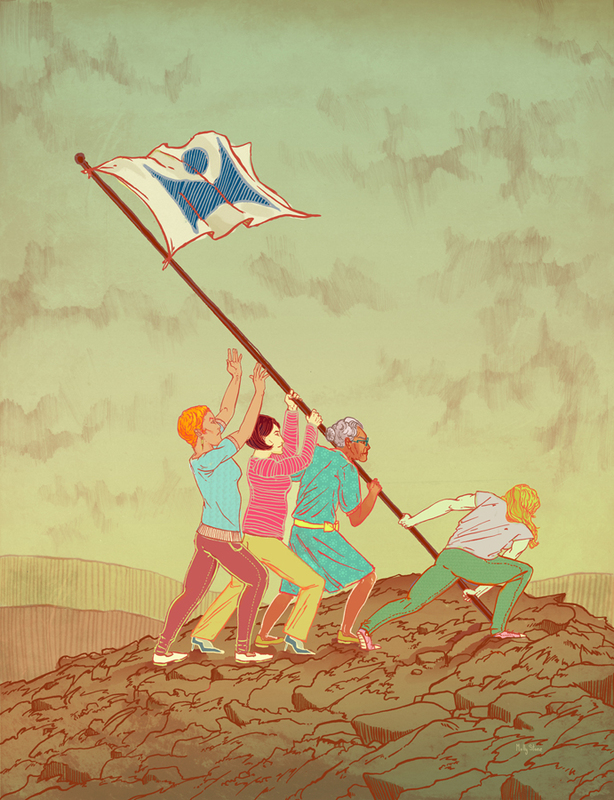 Lisa also asked that the flag on the cover portray the official logo of the American Humanist Association. This entry was posted in commissions, final projects. Bookmark the permalink. I have used this picture in one of my latest blog posts. Please let me know if this is okay or if I should take it down or credit you differently.